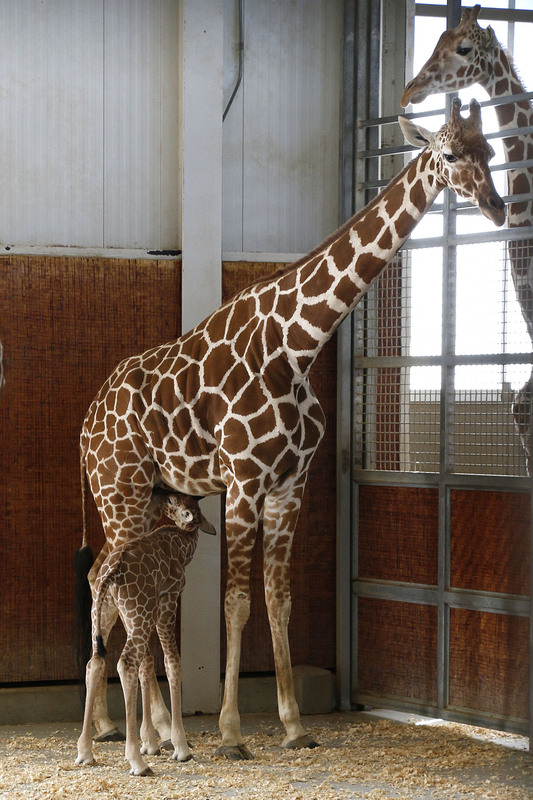 The donor who paid $50,000 to name the Dallas Zoo’s baby giraffe is opening the choice up for a public vote! Starting Wednesday, Nov. 5, we will launch a voting contest on our website bit.ly/DZName, where participants can select from three names chosen by the donor. For the first time, we put an animal’s naming rights up for bid during a live auction at our annual fundraising gala, Zoo To Do, last Saturday. After a spirited auction, the winning bidder paid $50,000 to name the male calf, born Oct. 26. The generous donor, who is a longtime zoo supporter and animal lover, wishes to remain anonymous, but has requested that the public be involved in the naming of the giraffe. The voting contest also will benefit Dallas/Fort Worth area children. Voters will be asked to nominate a DFW-area school they’d like to win a free animal visit from our Animal Adventures team. The winning school will be randomly selected. Voting ends Sunday (Nov. 9), at 5 p.m. The winning name and school will be announced Monday, Nov. 10. 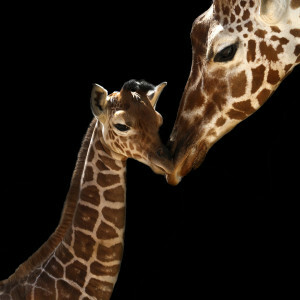 The entire $50,000 will go to conservation groups helping giraffes in the wild. Fewer than 4,700 reticulated giraffes remain in Africa, and the Dallas Zoo has long partnered with various groups to help protect endangered species around the world. 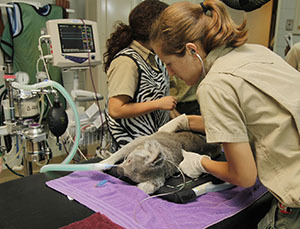 The zoo’s animal welfare team is currently working to determine which groups will receive money from the donation. 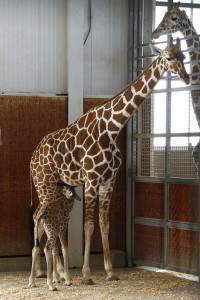 Born just over a week ago, the Zoo’s energetic 6-foot-tall giraffe calf is doing well. Over the past few days, he’s had brief introductions with the rest of the zoo’s 12-member herd. His first-time mother, Chrystal, is embracing motherhood tremendously, keeping a watchful eye over her calf at all times. The name “Obi” is a Western Africa Igbo word meaning “heart,” and this mother-son relationship definitely melts the heart. In the future as Saffron has more babies, she’ll most likely loosen the reins, but for now she stays close to Obi. Your best chance to see them is early in the morning as they eat their breakfast, usually in front of the window. 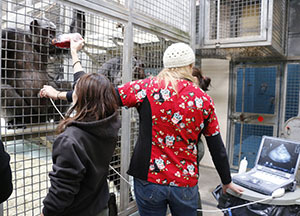 Obi’s birth is part of the Dallas Zoo’s participation in the Species Survival Plan for Mandrills, a conservation and breeding program of the Association of Zoos and Aquariums that manages efforts to ensure survival of the endangered species. 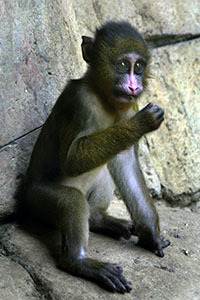 With fewer than 100 mandrills in North America, the Dallas Zoo works with other zoological parks through the SSP to ensure that the gene pool remains healthy and genetically sound. 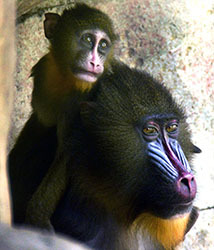 Mandrills are the world’s largest monkeys, close relatives of baboons and drills. They’re native to tropical rain forests of central and west Africa, including Congo, Cameroon and Gabon. The species is vulnerable due to hunting and habitat loss. Be sure to share this special video with your friends!